France launched their second revised National Action Plan (NAP) in 2015 for the period inclusive of 2015-2018. The updated NAP takes into account the numerous initiatives created toward the Women, Peace and Security agenda. The updated NAP contains an additional pillar, "fighting impunity" and expanded their pillar " Developing political and diplomatic action" to "Promoting the “Women, Peace and Security” agenda regionally and internationally". The 2010 French NAP specifies France’s action towards fulfilling the goals of UNSCR 1325. It calls for inter-ministerial and inter-institutional coordination to fulfill these goals, and includes the plan for fulfilling general European goals concerning women, peace, and security. The French NAP has four objectives, targeting the protection of women, the participation of women in conflict and post-conflict situations, raising awareness of women’s rights, and development of political and diplomatic action. The French action plan also encourages other French speaking countries in particular to develop gender policies. France is currently involved in the military intervention against ISIS/Daesh, the Central African Republic civil war and the insurgency in the Maghreb. Prior to that it also engaged in the Northern Mali conflict. France is also a contributor to international humanitarian aid, assistance, peacekeeping operations and diplomatic efforts through regional and international bodies. As such, the French NAP has been interpreted in a largely international way, seeking to mainstream the implementation of Women, Peace, and Security Agenda across these activities. WILPF International does not have a country section in France and therefore was not involved in the development process of France’s NAP. UPDATE-2015: The revised second NAP supersedes the country's previous commitments in this area. During the commitment phase of second revised NAP (2015-2018), the implementation of the NAP will be assessed through half-yearly meetings of a steering committee (composed of relevant ministries and administrations). The French National Consultative Commission on Human Rights (CNCDH) and the French High Council for Gender Equality (HCE) will attend one steering committee meeting per year. HCE and CNCDH will also contribute to mid-term and final evaluations of the NAP implementation. The final report will be presented to the relevant Parliamentary committees. It has also been decided that throughout the commitment phase of the NAP, best practices would be exchanged with other EU members. Civil society was consulted during the drafting phases of the NAP, which largely came out of the May 2010 meeting of the CEDAW/CEDEF Committee in Paris with many international institutions, including the International Committee of the Red Cross, human rights organizations, and unspecified NGOs. Civil society has an ongoing specified role in the implementation Steering Committee. This includes women’s organizations and the National Consultative Commission on Human Rights, an independent body with a pluralistic civil society membership, charged with advising government on human rights issues. Specific monitoring and evaluation parties were not mentioned in the NAP. There is no lead agent named in the French NAP, but the NAP was launched as part of a meeting of the CEDAW/CEDEF Committee held in Paris on May 20 and 21, 2010. Many international organizations were involved, but French members of parliament attended. Many of these same government institutions are a part of the Steering Committee that is responsible for monitoring and evaluating the French NAP. Pillars 1 to 4 have been designed with ambitions in terms of Domestic policy; Bilateral activities and Cooperation Programs; Multilateral activities. UPDATE: 2015- The revised second NAP supersedes the country's previous commitments in this area. The French second revised NAP displays a list of commitments for each goal and each pillar in a "Commitment" table. The table also mentions monitoring indicators and overseeing bodies. The French NAP offers a timetable for each specific objective. Most of them are general (2015-2018), but some are more specific and include revision phases. The NAP does not include an allocated or an estimated budget. No indicators or actions are included that formulate strategies for fundraising, detail what level of funding is required for which specific activities, or what accountability mechanisms will ensure funding is raised and used in implementing the NAP. Each action contains numerous indicators. For example, Pillar 1, Goal 1, "Increase the participation of women in peace-keeping and peace-consolidation operations in which France is involved (civilian and military components) " includes two specific indicators. The French NAP references Global indicators on the implementation of UN Security Council Resolution 1325 (Report of the United Nations Secretary-General of 6 April 2010) and Indicators for the comprehensive approach to the EU implementation of Resolutions 1325 and 1820 (2010) used for assessing the success of the implementaiton of its commitments. The indicators mostly relate to the number of women involved in particular institutions or intiatives (absolute numbers and/or percentages), number of people who have been trained for promoting a certain program, turnover in relevant bodies, and in particular for female actors, number of intiatives/programs implemented to support achieving the goal. The French National Action Plan is a ‘living document’ which is subject to open and ongoing review. A Steering Committee comprised of responsible government departments is tasked with coordinating implementation, monitoring and evaluation. The Steering Committee is required to meet bi-annually, in addition to holding ad hoc meetings as required. Civil Society will be invited to participate in the bi-annual meetings which include the National Consultative Commission on Human Rights, women’s rights organizations specializing in peace and security issues and parliamentary women’s rights and gender equality delegations. An annual progress report will be prepared by the Steering Committee and tabled in parliament. The NAP will apply the monitoring indicators developed by the European Union. 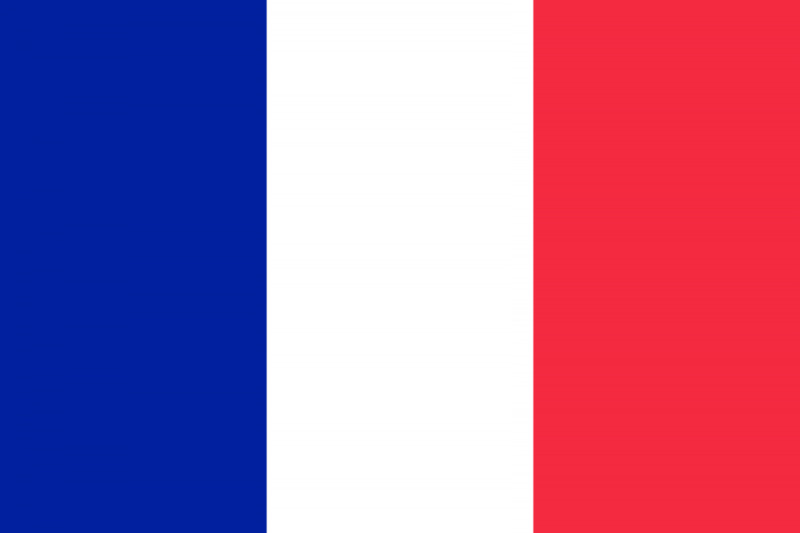 The French NAP does not offer any specific actions for disarmament. They acknowledge the need for a specific focus on women in Disarmament, Demobilization and Reintegration (DDR) and Security Sector Reform (SSR) however, they put forth no specific actions to achieve this goal. For example, they support programs that provide revenue for women who are ex-combatants or associated with them, or affected by armed conflict.